Man United midfielder Nemanja Matic, who was an unused substitute in the Wolves defeat because of injury, did not train but has chances of featuring. Andre Herrera is “probably out” while forward Alexis Sanchez will not feature against Barcelona despite returning to training. Marcus Rashford is a slight doubt. Barcelona will take no risks with the fitness of Ousmane Dembele for the Champions League quarter-final first leg. Dembele is in the squad and trained with his Barca teammates at Old Trafford on Tuesday night. But the 21-year-old hasn’t featured for the La Liga leaders since suffering a hamstring injury in the last-16 second leg win over Lyon, when he came on at the Nou Camp with 20 minutes to go and scored Barcelona’s fifth goal. This is the first Champions League meeting between Barcelona and Manchester United since the 2011 final, which Barcelona won 3-1 at Wembley. Manchester United have never lost a home European match against Barcelona (W2 D2 L0), with this the first meeting between the sides at Old Trafford since the second leg of the 2007-08 Champions League semi-final, a 1-0 win for the Reds. Manchester United have won two of their past 11 Champions League knockout ties (W2 D3 L6), failing to win either of their quarter-final games in the 2013-14 season under David Moyes against Bayern Munich. Striker Romelu Lukaku scored with both of his shots in a 3-1 away win over PSG in the last 16 – he had failed to score with any of his previous eight shots in the Champions League this season. The Belgian has scored with his past three shots in the Champions League knockout stages. Manchester United have lost two home Champions League matches this season, against Juventus and PSG. 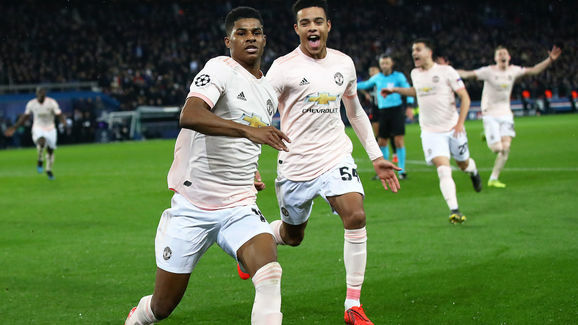 They’ve lost three in one season just once, during the 1996-97 campaign, with current boss Ole Gunnar Solskjaer featuring in all three defeats. This is Barcelona’s 17th Champions League quarter-final appearance, a joint-record with Bayern Munich; they have qualified for a 12th successive season, a competition record. Barcelona have progressed from 79% of their Champions League knockout ties when playing the first leg away from home (23 of 29), compared with just 33% when playing the first leg at home (four of 12). Since Chelsea eliminated Barcelona in the 2011-12 semi-final, English teams have been eliminated in 10 of 11 Champions League knockout ties against Spanish sides – the exception was Leicester City against Sevilla in the last 16 in 2016-17. Barcelona’s Lionel Messi has scored 22 Champions League goals in 30 appearances against English teams – more than any other player in the history of the competition. Messi has failed to score in any of his past 11 Champions League quarter-final appearances for Barcelona; since netting against PSG in April 2013, the Argentine forward has attempted 49 shots without success at this stage of the competition. Cristiano Ronaldo will start Juventus’ Champions League quarter-final with Ajax after recovering from injury. Ronaldo – who has been nursing a thigh strain – has not played for Juve since he scored a hat-trick against Atletico Madrid. Giorgio Chiellini misses out with a calf strain, while Emre Can also stays behind with an ankle issue. 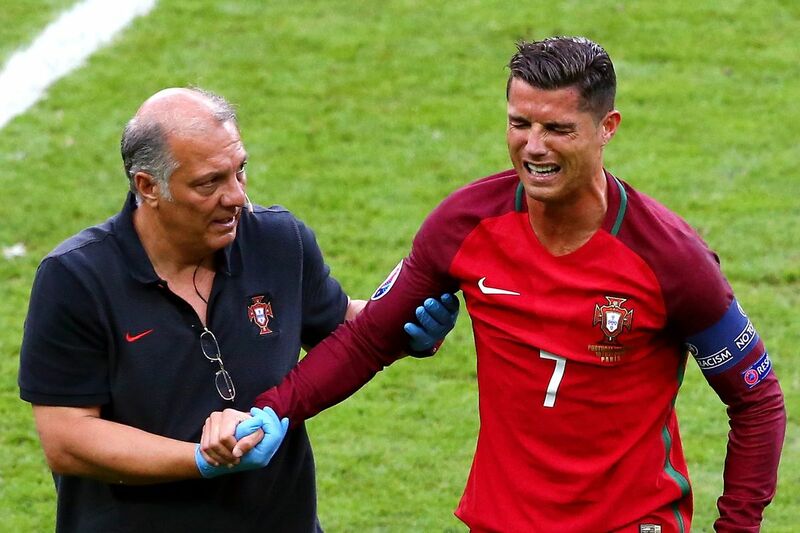 Ronaldo (right) got injury while on National team duty. Ajax and Juventus will be facing for the ninth time in the European Cup/Champions League and for the first time since November 2004. The Dutch side have not beaten the Italians in the competition since winning the 1973 European Cup final in Belgrade (1-0). Juventus are unbeaten in each of their past nine European matches against Ajax (W5 D4), including a draw in the 1996 Champions League final before going on to lift the trophy thanks to a penalty shootout victory. Ajax will host Juventus in a Champions League encounter for the first time since September 2004 in the group stages, when they fell to a 0-1 defeat thanks to a Pavel Nedved strike for the Italians. Ajax knocked out defending champions Real Madrid in the last round; indeed, the last side to knockout the current holders of the Champions League was Atletico Madrid (v Barcelona) during the quarter finals in 2015-16, going on to lose in the final against Real Madrid. They are the first Dutch side to reach the quarter-finals of the Champions League since PSV in 2006-07. Indeed, Ajax find themselves at this stage for the first time since 2002-03, when they were eliminated by AC Milan. Ajax have had a younger starting XI on average (24 years 202 days) in the Champions League this season than any other side left in the competition. Juventus have reached the quarter-finals of the Champions League for the third successive campaign, their best such run in the competition since doing so in four successive seasons between 1996 and 1999. Only Lionel Messi (11) has had a direct hand in more goals in this season’s Champions League than Ajax’s Dusan Tadic (nine – six goals, three assists). Juventus striker Cristiano Ronaldo has scored seven goals in his past four Champions League matches against Ajax, including a hat-trick for Real Madrid on his last visit in October 2012. Only against Bayern Munich (nine) and his current side Juventus (10) has Cristiano Ronaldo scored more Champions League goals than he has against Ajax (seven).